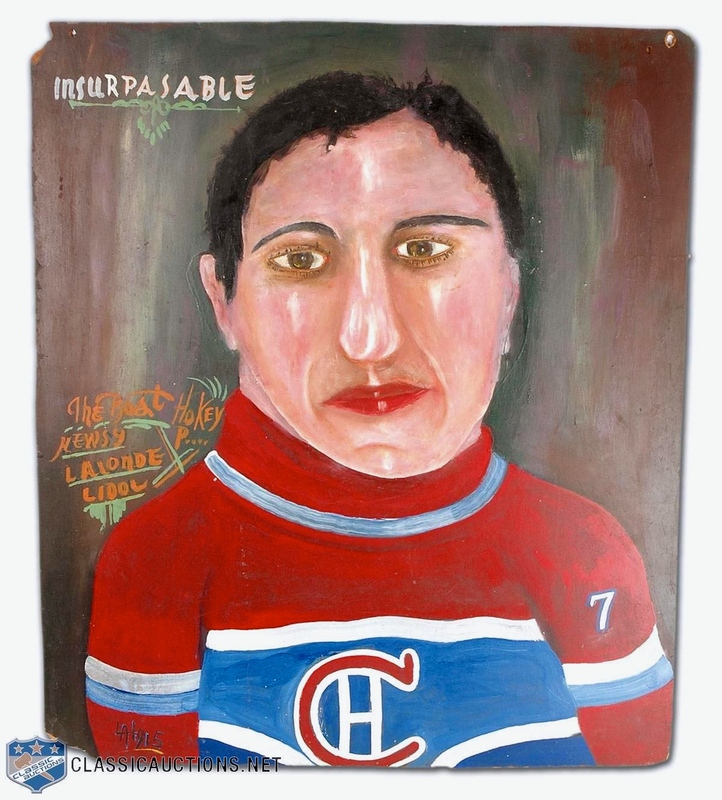 Idolized: A cousin of Newsy Lalonde’s painted this portrait of Canadiens’ Hall-of-Fame centreman, the story goes. Montreal’s Classic Auctions sold it for just over C$200 in 2007. The slap that Shea Weber puts into his shot has a history of wreckage. 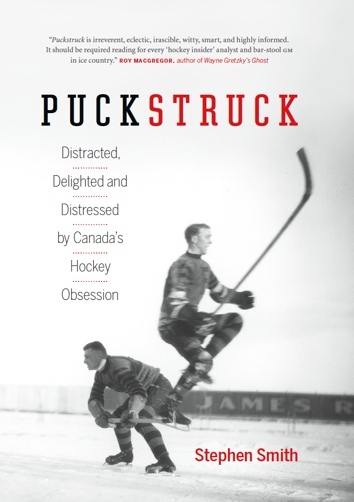 Pucks he’s propelled have torn through nets at the Vancouver Olympics and busted out endboards in Nashville. He’s broken Chris Osgood’s mask. Bones, too, several of which have belonged to teammates whose dangerous duty it was to stand in front of a net Weber was aiming at. Martin Erat broke a leg that way when Weber played for Nashville, and Jordin Tootoo a foot. Weber is in Montreal now, and the breakages continue. Last week, his slapshot smashed Brendan Gallagher’s hand. He’s out for eight weeks. Weber himself isn’t much help. He can’t really say how he acquired the shot. “Just repetition, I guess,” he told Gordon. His stick is a factor, its stiffness in particular. Pittsburgh’s Phil Kessel, famously, uses a customized Easton that’s believed to have a flex rating down around 70, which gives the shaft the pliability of a whip and makes his shot (as James Mirtle has written) one of the hardest-to-stop in the world. Winnipeg’s exceptional rookie Patrick Laine uses an 87 flex. Many NHLers tend toward a stick in the 100 flex range. Weber’s is well beyond that. In a game this month against Toronto, Weber broke a stick with a flex of 122 cross-checking a trespasser Leaf in the Montreal slot. “You need to be a strong man to use that thing,” Carey Price told Sean Gordon. There are heavier sticks in the NHL, but not many. Zdeno Chara’s, for one. His, as you might guess, is longer than anyone else’s in the league. On skates Chara towers almost seven feet over the ice, which is why he gets an exemption from the NHL’s limit on stick-length. Fifty-three inches is the rulebook maximum; Chara’s Warrior is said to wander on for 65. Newsy Lalonde was 34 that year, and pretty much at the end of his playing days. He’d been a superstar in both hockey and lacrosse for years by then. On the ice, he was Montreal’s almost-everything: coach, captain, primary offensive weapon. If he was slowing down as an NHL force, it wasn’t obvious: when the 1920-21 season came to an end, he led the league in scoring. Senators’ manager Tommy Gorman tried to pry him from Montreal in the fall of ’21, bring him west to play for Ottawa, but that didn’t work out. The news of his newfangled stick surfaced, if only briefly, just as the new season was about to get underway. Just how it all worked out, and whether he was permitted to use it, isn’t clear: I can’t find any follow-ups to these original articles. Last we know, the league was studying the case. I’d surmise they nixed Lalonde’s bespoke stick, but I don’t know for certain. Canadiens opened their season a few nights later in Toronto against the St. Patricks, a.k.a. the Irish. They lost, 5-2. The goal Newsy Lalonde scored in the third period on a pass from Didier Pitre was the least of the news he made, whatever stick he had in hand. In an Irish rush on goal [Bert] Corbeau knocked Denneny kiting and the Toronto lad spilled Lalonde. Both went sliding into the nets like a varicolored avalanche, with Lalonde riding the prostrate Denneny. In the melee Lalonde’s stick lovingly caressed Denneny’s neck, and Denny did the possum act in the corner. Lalonde was booted for a major penalty despite his protests that it was all an accident. Lalonde shouldn’t have accidents with his truncheon caressing the vicinity of the other fellow’s collar button. It doesn’t seem reasonable. Lalonde spilled Dye and Dye gave a correct imitation of a corpse. While the first aiders were doing resuscitation business and Lalonde was standing around weeping crocodile tears, Denneny sailed across the pond and pucked the famous Canadien one in the famous puss. Lalonde looked as surprised as a bulldog bitten by a gold fish.